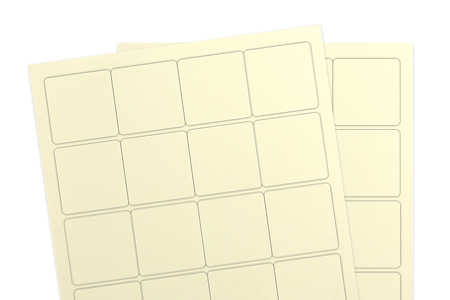 The natural cream label material boasts a beautiful color and appearance. It resonates warmth, making it great for seasonal or holiday projects, cosmetic labeling, lotion labeling or any type of crafting project. Get creative and incorporate this lovely material in your next labeling project!